I used to carry a camera around with me during my lunch break walks so I could be ready to capture that noteworthy truck or heavy piece of heavy equipment. Despite the general amount of crazy behavior that takes place on any given downtown street corner I always felt that I was the one drawing the most attention to myself. Thankfully the rise of the cell phone camera has allowed me to melt into the shadows while taking a halfway decent photograph. In this day and age no one thinks twice about seeing someone with a phone plastered in their face. 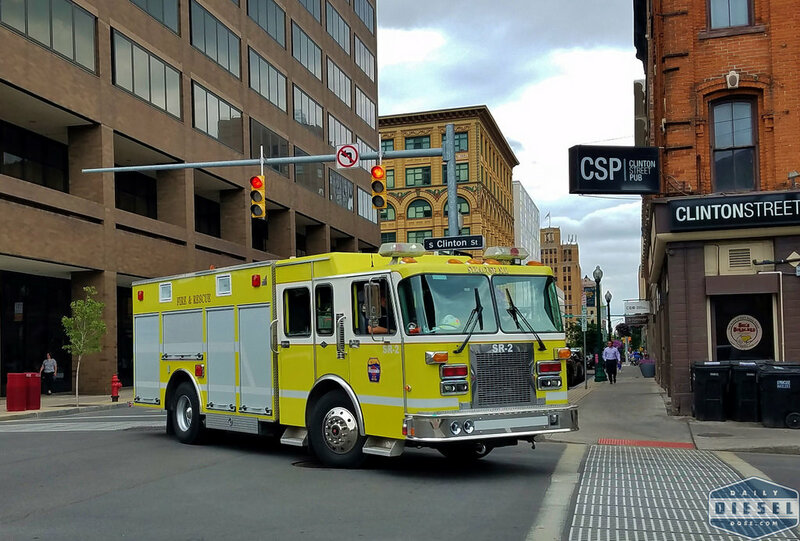 Here we see SR-2 of the Syracuse Fire Department. Yes, it’s not red. The first time I saw this truck I had to wonder if Syracuse was returning to yellow fire trucks after a decade or more hiatus. I know some purists out there didn’t like the yellow rigs but I was down with them. Anyway, I little digging through various Facebook groups indicates this truck will someday (already does?) 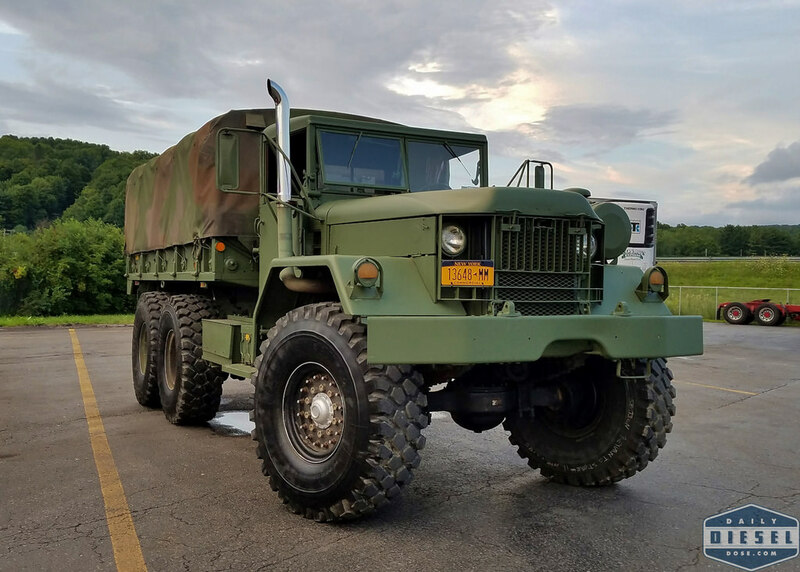 belong to the Syracuse International Airport once repairs to Station 1’s original rescue truck are complete. Just about two blocks east of this photograph I came across Jim’s Towing hooking up to a broken FedEx truck. The world on a hook. This ain’t your daddy’s deuce and a half. As a matter of fact this is a full blown five ton monster capable of crossing the deepest rivers and steepest hills. 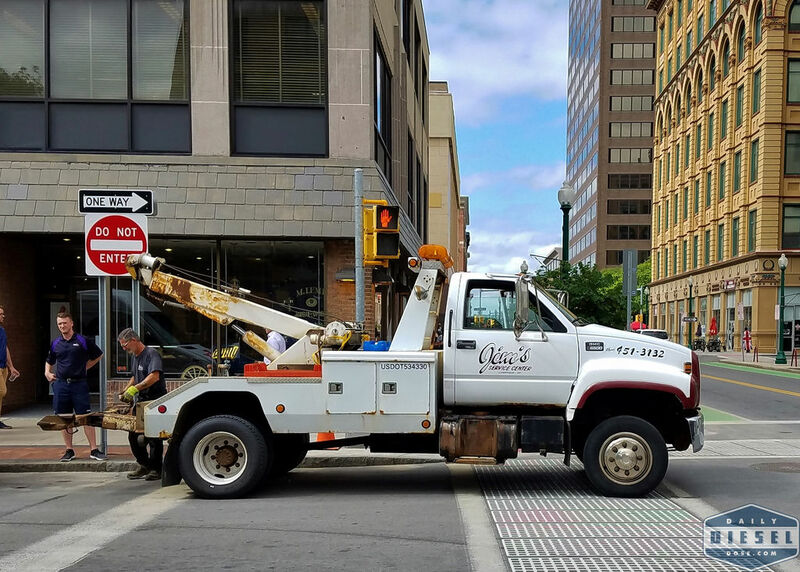 Currently you can find it traversing the potholes of downtown Syracuse which perhaps might the biggest challenge it will ever face. This entry was posted in On the Job. Bookmark the permalink. I just saw this post. SR-2 used to belong to the Chittenango Fire Department as our heavy rescue 685. It was sold to the Syracuse Fire Department when we took possession of our new rescue-pumper.